NHAR IL-ĠIMGĦA, 4 TA’ NOVEMBRU, HIJA L-EWWEL ĠIMGĦA TAX-XAHAR. Ngħatu bidu għal Festa ta’ San Ġwann tas-Salib billi ninġabru bħala komunitá, bħala familja waħda quddiem Gesu’ Ewkaristija. IL-PATRIJIET SEJRIN JITOLBU FUQ DAWK KOLLHA LI JATTENDU. Dan il-kliem Ġesù qalu lil Pietru, ’il Ġakbu u ’l Ġwanni fl-agunija tiegħu fil-Ġnien tal-Ġetsemani, meta mar ħdejhom u sabhom reqdin. Ġesù riedhom ikunu qribu f’dak il-mument diffiċli. Ried ukoll li jħejju ruħhom flimkien miegħu bit-talb għax kellhom jgħaddu minn żmien diffiċli huma wkoll. Int lest li tishar ftit ma’ Ġesù? Nhar il-Ġimgħa hija l-Ewwel Ġimgħa tax-xahar. Wara l-quddiesa tas-6.00pm ssir adorazzjonianimata minn membri tal-Kummissjoni Familja. 1. Tul dawn il-jiem sal-25 ta’ Jannar inkunu nitolbu ghall-Ghaqda tal-Knejjes Insara. Nhar it-Tlieta jkollna Adorazzjoni mmexxija mill-Moviment Marjan wara l-quddiesa pm. 2. Kull nhar ta’ Erbgha, Hamis u Gimgha qeghdin isiru z–|jajjar u t-Tberik tal-Familji bejn l-4.00pm u s-7.30pm. Qed nimxi fuq kif indikat fil-ktieb, Direttorju Kalendarju Parrokkjali 2014. Ghalhekk nistenna li d-Direttorju tifthuh u taraw meta jmissa kull familja. Napprezza jekk min ikollu xi diffikulta dwar dati u hinijiet javzani minn qabel. Huwa importanti li niltaqa’ mal-familja kollha. 3. Mons. Arcisqof Pawlu Cremona OP ghada l-Hadd se jiccelebra Quddiesa ta’ Radd il-Hajr f’gheluq is-Seba’ Sena mill-Ordinazzjoni Episkopali tieghu. Fl-istess quddiesa l-kappillani jgeddu r-rabta taghhom ta’ komunjoni mal-Arcisqof. Kulhadd huwa mistieden ghal din il-Quddiesa li se ssir fil-Konkatidral ta’ S. Gwann il-Belt, u tibda fil-5.30pm. 4. Ghall-nhar it-Tlieta fl-4 ta’ Frar il-Kummissjoni Djakonija qeghda torganizza Harga ghall-Anzjani u Persuni bi htigijiet specjalifid-9.30am minn quddiem il-knisja taghna. Nibdew b’quddiesa fil-knisja ta’ S. Lawrenz fil-Birgu. Wara jkollna gwida biex jghinna napprezzaw l-ghana ta’ arti li biha hija mzejna din il-knisja bi storja kbira u twila. Wara jkollna refreshments max-Xatt tal-Birgu. Min jixtieq jigI, hu gentilment mitlub jinkiteb fis-sagristija. Dettalji jidhru fuq il-website tal-parrocca u fuq poster apposta man-Notice Boards tal-knisja u tal-Kunsill Lokali. Nappellaw ghal fondi biex ninstallaw aktar pannelli fotovoltajci ghall-uzu tal-knisja. 1. These days till the 25th we’ll be praying for Christian Unity. On Tuesday we’ll have an Adoration led by the Marian Movement after evening Mass. 2.The Parish Family Visits are being held every Wednesday, Thursday and Friday from 4.00pm to 7.30pm. Kindly, consult the Parish Directory 2014 for dates of these visits to your family. Were you to have any difficulties, please, be kind and inform me beforehand, so that together we agree on an alternative date. Thanks for your collaboration. 3. All are invited to celebrate with his Grace the Archbishop Paul Cremona a Thanksgiving Mass on the 7th anniversary of his Episcopal consecration. The Parish Priests will also renew their commitment for pastoral communion with the Archbishop. This celebration will be held today Sunday 19th January at St John’s Co-Cathedral Valletta starting at 5.30pm. 4. The Diaconia Commission is organising a cultural tour for our senior citizens and persons with special needs on Tuesday 4th February. We leave from our church parvis at 9.30am. We’ll have Mass at the collegiate Church of St Lawrence, Vittoriosa. Afterwards, we’ll be regaled with a guided tour of this historic and famous church. We end up with refreshments at the Vittoriosa Waterfront. Anybody interested is kindly asked to register in the Sacristy. May I again appeal for funds towards the installation of photovoltaic panels on our church roof. 1. Nhar it-Tlieta jkollna adorazzjoni wara l-quddiesa pm mmexxija mill-Grupp tal-Ħniena Divina. Se niċċelebraw il-Festa ta’ Santa Fawstina Kovalska. 2. Il-Kunsill Lokali jgħarraf dwar il-Vaċċin tal-Influwenza. Min għandu ’l fuq minn 55 sena jista’ jmur fl-Uffiċċju tal-Kunsill fi Triq l-Imradd biex jiġbor il-formula għal kontra l-influwenza u jirritornaha sas-Sibt, 17 ta’ Ottubru 2013. 4. Ngħarrafkom li se ssir wirja ta’ pittura, ganutel, bizzilla u mudelli ta’ diversi oġġetti mtella’ minn persuni minn Ta’ Xbiex jew inħawi. Se ssir fid-29 u 30 ta’ Novembru u l-1 ta’ Diċembru fiċ-Centru Parrokkjali. Dettalji jidhru aktar ’il quddiem. Din se tkun l-ewwel wirja li l-grupp tal-Parroċċa Talent u Kultura Ta’ Xbiex qiegħed itella’. Nixtiequ li wirjiet oħra jsiru s-sena d-dieħla. Min ikun jixtieq jesebixxi xi oġġetti f’wirjiet oħra simili s-sena d-dieħla huwa mitlub ikellem lill-membri ta’ grupp imwaqqaf apposta jew inkella lill-kappillan. 5. Ngħarrafkom ukoll li l-Kumissjoni Familja qiegħdha tlaqqa’ familji bi tfal żgħar għall-ħarġiet rikreattivi wara l-quddiesa tal-familja fil-11,30am f’xi Ħdud. Familji li jkunu jixtiequ jissieħbu f’dawn il-ħarġiet huma mistiedna ikellmu lil xi membru mis-sotto kummissjoni Familja bi Tfal |għar tal-Kummissjoni Familja. 1. Coming Tuesday we’ll have adoration after evening Mass led by the Divine Mercy Group. 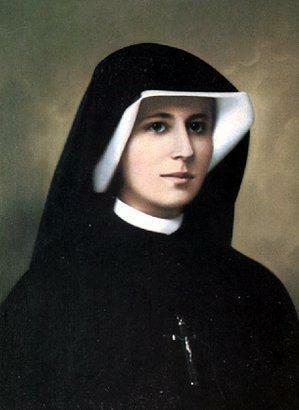 We will be celebrating the Feast of St Faustina Kowalska. 2. Our Local Council wishes to inform that persons over 55 years are eligible for a free influenza vaccine. Formulas for free vaccines can be withdrawn from and re-consigned at the Local Council premises until Saturday the 17th of October 2013. 3. May I remind you that we are collecting funds for the installation of more photovoltaic panels. Up to now the collected sum tops 2,400 euros. 4. An exhibition of artifacts by a group of Ta’ Xbiex artists will be on display during three days, the 29th and 30th November and 1st December at our Parish Centre. Details are on a special poster on our Notice Boards. Similar exhibitions will be organised next year as well. Applications for participation will be received by the Parish Talent and Cultural Group created for such initiatives. 5. A subcommittee of the Family Commission is organising recreational outings for young families on some Sundays after the 11.30am Family Mass. Families interested to join are warmly invited to contact this subcommittee. Please see Notice Board. 1. Nhar it-Tlieta nagħmlu l-Festa ta’ S. Tereża tal-Bambin Ġesu. Mil-lum bdejna tliet ijiem ta’ tridu bil-priedka u l-kant fil-quddiesa ta’ fil-għaxija. Nhar it-Tlieta wkoll fil-5.00pm jsir rużarju fil-beraħ fi Triq il-Qaws. 2. Nhar il-Ġimgħa, l-Ewwel Ġimgħa tax-xahar, ikollna l-adorazzjoni ta’ Ġesu Ewkaristija l-ġurnata kollha.Ikollna quddiesa fis-13.00 u fil-17.00 jingħad rużarju meditat. Wara l-quddiesa pm ssir adorazzjoni minn membri tal-Kummissjoni Familja. 4. Il-weekend li ġej nagħmlu l-ġabra Speċjali fl-ewwel Ħadd għall-ħtiġijiet tal-knisja. 5. Il-Kunsill Lokali jgħarraf dwar il-Vaċċin tal-Influwenza. Min għandu ’l fuq minn 55 sena jista’ jmur fl-Uffiċċju tal-Kunsill fi Triq l-Imradd biex jiġbor il-formula għal kontra l-influwenza u jirritornaha sas-Sibt, 17 ta’ Ottubru 2013. 1. 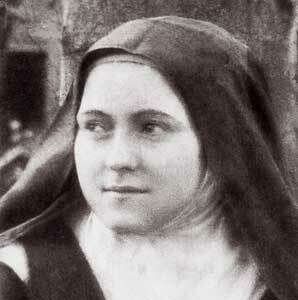 On Tuesday we celebrate the Feast day of St Therese of Jesus with solemn sung Mass at 6.00pm. Starting yesterday evening Mass is sung with a homily in her honour. Coming Tuesday also at 5.00pm we pray a public Rosary at the head of Triq il-Ħalġ. 2. On Friday, the first Friday of the month, we shall hold a Eucharistic Day. There’ll be Mass at 13.00hrs. At 5.00pm Holy Rosary with meditation will be recited and after evening Mass members of the Family Commission will animate a half hour adoration ending with benediction. 3. May I remind you that we are collecting funds for the installation of more photovoltaic panels. Up to now we collected over 2000 euros. 4. Next First Sunday monthly collection will be for the needs of the church. 5. Our Local Council wishes to inform that persons over 55 years are eligible for a free influenza vaccine. Formulas for free vaccines can be withdrawn from and re-consigned at the Local Council premises until Saturday the 17th of October 2013. Avviżi tal-Parroċċa – San Ġwann tas-Salib, Ta’ Xbiex – 29 ta’ Settembru 2013 26 Ħadd tas-Sena Parish Notices – St John of the Cross, Ta’ Xbiex – 29th September 2013 26th Ordinary Sunday of the Year http://www.30giorni.it/upload/articoli_immagini_interne/1186565286926.jpg Nhar it-Tlieta nagħmlu l-Festa ta’ S. Tereża tal-Bambin Ġesu. Mil-lum bdejna tliet ijiem ta’ tridu bil-priedka u l-kant fil-quddiesa ta’ fil-għaxija. 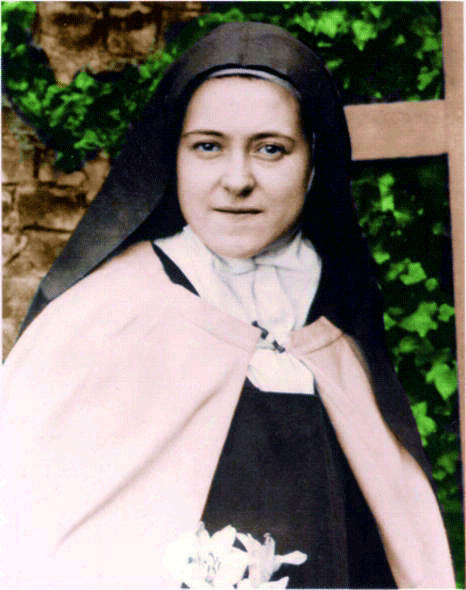 Nhar it-Tlieta wkoll fil-5.00pm jsir rużarju fil-beraħ fi Triq il-Ħalġ On Tuesday we celebrate the Feast day of St Therese of Jesus with solemn sung Mass at 6.00pm. Starting yesterday evening Mass is sung with a homily in her honour. Coming Tuesday also at 5.00pm we pray a public Rosary at the head of Triq il-Ħalġ. Adorazzjoni Ottubru 2013.jpg Nhar il-Ġimgħa, l-Ewwel Ġmgħa tax-xahar, ikollna l-adorazzjoni ta’ Ġesu Ewkaristija l-ġurnata kollha.Ikollna quddiesa fis-13.00 u fil-17.00 jingħad rużarju meditat. Wara l-quddiesa tas-6.00pm ssir adorazzjoni minn membri tal-Kummissjoni Familja. On Friday, the first Friday of the month, we shall hold a Eucharistic Day. There’ll be Mass at 13.00hrs. At 5.00pm Holy Rosary with meditation will be recited and after evening Mass members of the Family Commission will animate a half hour adoration ending with benediction. http://us.123rf.com/400wm/400/400/qingwa/qingwa1110/qingwa111000391/11043844-pv-solar-panels-in-a-row.jpg Infakkru li qegħdin niġbru biex ninstallaw aktar pannelli fotovoltajċi għall-użu tal-knisja. Minn € 20,000.00 s’issa nġabru € 2,154.55. Jonqos jinġabru € 17845.45. Nirringrazzjawkom bil-quddiem tal-generosità May I remind you that we are collecting funds for the installation of more photovoltaic panels. The Project is intended to reduce or eliminate the church’s energy bill. From the sum of € 20,000.00 needed donations totalling € 2154.55 have so far been collected. Thank you for your kind and generous support http://www.visitmalta.com/file.aspx?f=15303 Il-weekend li ġej nagħmlu l-ġabra Speċjali fl-ewwel Ħadd għall-ħtiġijiet tal-knisja. Next First Sunday monthly collection will be for the needs of the church. 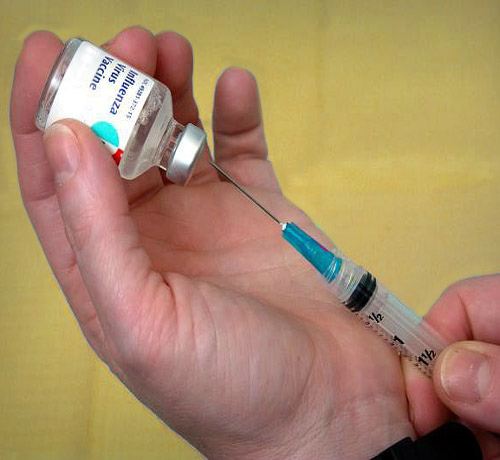 http://www.sciencebuzz.org/sites/default/files/images/vaccination.jpg Il-Kunsill Lokali jgħarraf dwar il-Vaċċin tal-Influwenza. Min għandu ’l fuq minn 55 sena jista’ jmur fl-Uffiċċju tal-Kunsill fi Triq l-Imradd biex jiġbor il-formula għal Vaċċin kontra l-influwenza u jirritornaha sas-Sibt, 17 ta’ Ottubru 2013 Our Local Council wishes to inform that persons over 55 years are eligible for a free influenza vaccine. Formulas for free vaccines can be withdrawn from and re-consigned at the Local Council premises until Saturday the 17th of October 2013.